Read more about What is the Diagnosis by Dr. Joseph Cesarine? The AMPT Score: Do We Know Who Should be Transported By Helicopter? Helicopter emergency medical services (HEMS) offers rapid transport to trauma centers while simultaneously providing advanced prehospital care. It is through these reasons that HEMS carries a survival benefit over ground emergency medical services (GEMS). However, increasing financial burdens and aviation risks to flight crews/patients complicate the decision to transport a patient by HEMS. Read more about The AMPT Score: Do We Know Who Should be Transported By Helicopter? Cold water immersion is the most rapidly lethal environmental exposure on planet earth. This is illustrated by work-related death statistics obtained by the U.S. Coast Guard on commericial fishing vessels where death rates approach 180 deaths per 100,000 people per year and where 75% of these deaths result from fishermen falling overboard. The risk of death of cold water immersion on commercial fishing boats is quoted to be 15 times more deadly than firefighting. Supracondylar fractures are the most common upper extremity fracture in the pediatric population therfore every emergency medicine provider should be deeply familiar with the known complications of such pathology. 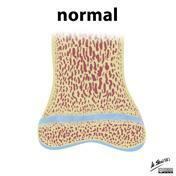 This post will introduce the types of supracondylar fractures and known complications. Miscarriage occurs in 10-15% of pregnancies. Historically, the "gold standard managment" for incomplete abortions was surgical dilation and curretage. However, the risk of infection, hemorrhage, cervical injury, uterine rupture, and anesthesia complications with routine surgical intervention opened the door for less invasive management options to replace conventional therapy. These options include medical (misoprostol) and expectant management. In today's practice of, Emergency Medicine providers are typically subject to varying practice patterns by obstetrics consultants. 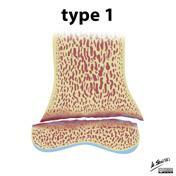 In a patient with open growth plates, the Salter Harris Classification is used for description and prognostication.